There has been some talk about Pope Francis’ recent conversation with a woman who was divorced and remarried. She had asked the Holy Father if it would be okay if she could receive Holy Communion – a request which the Pope allegedly granted (See article here). This caused quite a discussion in the Catholic Church worldwide as well as in the Catholic blogosphere. This is actually not a new issue. This was a particular item that was discussed earlier by Pope Benedict a number of years ago. Now, for the record, I am not advocating a position about this issue (lest anybody starts writing letters to Archbishop Chaput). But it is something about which a number of people have asked me questions and something about which people are speaking so let’s at least take a look at it. The openness to having children. There are two issues within the discussion of the woman’s request. One has to do with an understanding of, as well as agreement/ascent to, the “elements of marriage.” The other issue has to do with our relationship with the Lord in the Eucharist. 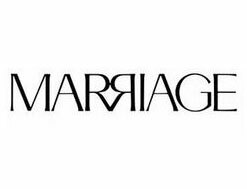 Concerning the first issue (the elements of marriage) there are couples, who were married, divorced, and then married once again (without the first marriage being declared “null” aka not having received an “annulment”). Even though their first marriage did not work out, they still do believe, (in some cases very deeply) those three constituent elements of marriage. In their first marriage they actually intended to keep and tried to keep these ideals/values and certainly hoped that they would be able to fulfill the requirements of marriage. Unfortunately it did not work out that way. Perhaps later, they found another person with whom they wanted to enter into another committed relationship. The key is their abiding respect for, agreement with, and assent to the three elements of marriage. Second part has to do with the Eucharist. 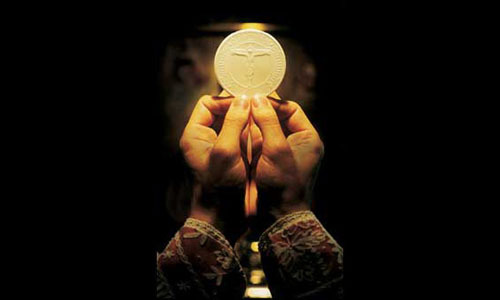 The Eucharist is not a prize that someone receives for good behavior. The Eucharist is not something that a person can “earn.” We are all sinners and thus totally unworthy of salvation. Even though the church teaches that one should be in the state of grace before receiving communion, all are sinners and everyone falls from that state of grace at some point. The idea that is not being discussed is the thought that ALL people, whether they are in a “normalized” marriage situation or not, need a relationship with Christ.